On my travels across Arkansas and across the South, I have had many a burger. I can almost instantly recognize the seasoning in a burger. There are a few joints that make their own hamburger seasoning, and my hats are off to them. The others fall into one of five categories: salt & pepper burgers, Worchestershire sauce burgers, onion burgers, Tony Chachere burgers and Cavender burgers. It is the last of these seasonings that I am most familiar with… considering I grew up with that familiar flavoring on my lips. As a child, I experienced Cavender’s on fish with lemon juice; on steaks and in gravy and of course on burgers. I think I was an adult before I thought of Cavender’s as anything but THE seasoning mix in the kitchen. 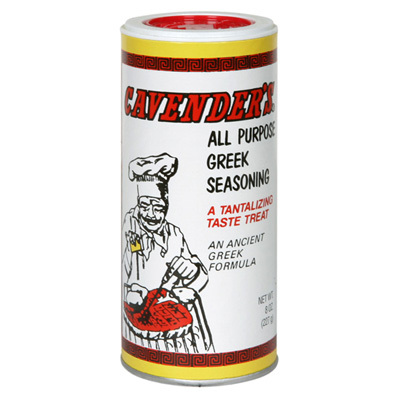 Never occurred to me that it was a Greek seasoning or anything else. It was just good. We still use Cavender’s at Chez Robinson. Because of my frequent dining out (a necessary job hazard) we don’t go through a bottle as quickly as we once did, but we were averaging at one time a new bottle every three to five months. So finding out that I was just a few miles from the place where Cavender’s is produced, I just had to go. I had a couple hours between one assignment and another in the area on a Monday morning and had heard from the folks at the Hotel Seville (which has Cavender’s up for sale in its lobby) that the headquarters was located over on Industrial Park Road. Meandered over that way to take a gander. I do believe the receptionist was taken off guard when I walked in and asked her if she could tell me all about the place. She looked a little panicked, and I realized it might have been much more wise to have called first. She fetched another woman to come meet us. She introduced herself as Cara… later we’d find out she’s Cara Cavender Wohlgemuth, a member of the third generation of the Cavender’s family. I asked a few questions about the operation and she offered to show it to me, with the caveat that the men who worked the line were gone to lunch. Once again, I regretted not calling in advance. Still, I was surprised by how open Cara was about the operation. We really hadn’t introduced ourselves, yet here she was offering to show us what went on behind the scenes. We went through one doorway into a break room and then a second one, a warehouse operation with filling machines. The scent immediately cleared my sinuses and simultaneously made my stomach growl. It smelled comfortable and almost heavenly. Cara didn’t seem to have the slightest qualm about sharing the behind-the-scenes tour with a couple of strangers. “A little,” I admitted, curious to hear her take on it. She shared it with us as we looked around. 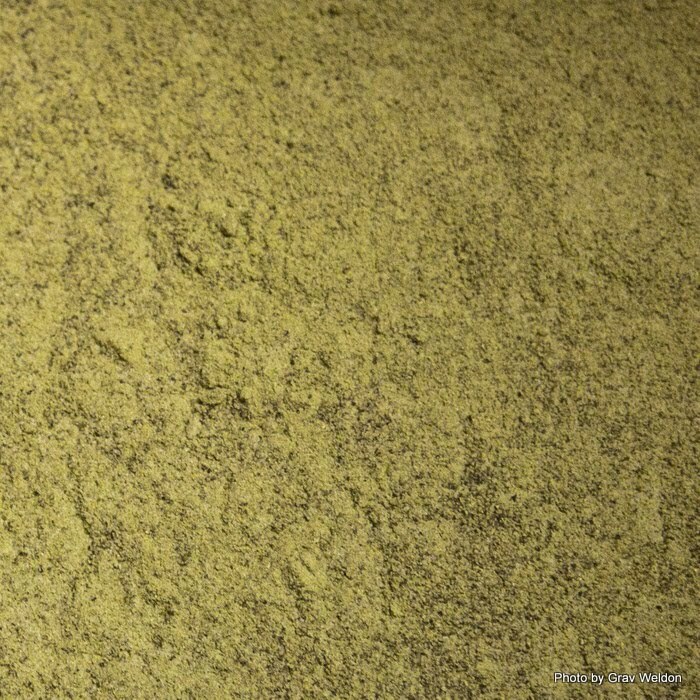 Her grandfather had a friend in the restaurant business who was dying who passed this specific spice recipe along. Spike Cavender took that recipe and made it up with a friend from Oklahoma -- not to sell, but to give away to friends. So Spike’s Greek Seasoning was born. 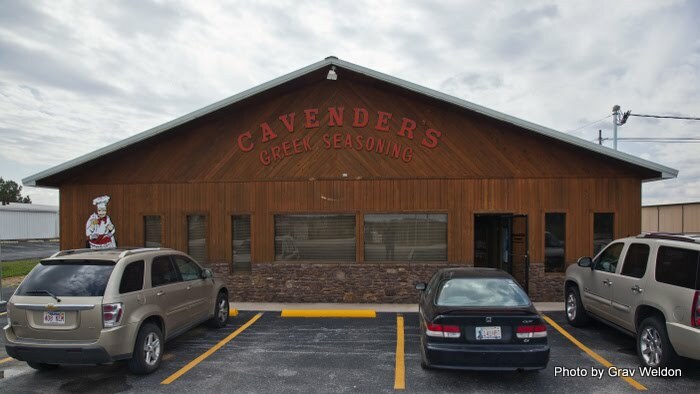 Eventually it was renamed Cavender’s Greek Seasoning because of a trademark issue. Didn’t change the flavor or the name. Spike and his son Stephen created the S-C Seasoning Company back in 1971. 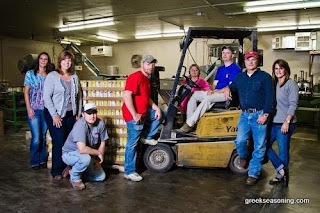 Cara and her sister Lisa Cavender Price now run the company, along with their husbands and several longtime employees. 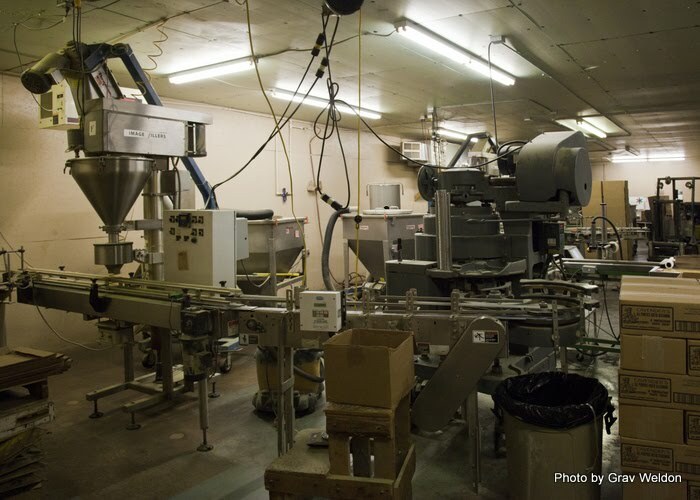 Cara showed us each of the three machines used to package Cavender’s -- one that fills 3 ¼ ounce bottles, one that fills eight ounce bottles and one that loads up five pound tubs. “That’s what restaurants use,” Cara told me. A little quick math -- five days a week, 50 weeks a year (they take off during the holidays, do doubt) -- you’re looking at, at least a thousand tons of seasoning prepared every year. In a little place in Harrison, Arkansas. So how’s that work? Well, it works because Cavender’s is that good. It’s earned a reputation for being the best secret ingredient in so many things -- burgers, steaks, ribs, barbecue sauce, chili, whatever. It’s distributed all over the nation through Wal-Mart and Kroger and who-all knows else. I’ve seen it on a table in Boston, in a spice bin in Phoenix and on a window ledge in St. Louis. I even encountered it in a grocery store in Freeport, Bahamas. I have friends in Great Britain who use it, had one friend sight it in Jerusalem and another in Sydney, Australia. It’s been all over the world. That’s a hell of a lot of spice. “Do you want to see what it looks like?” Cara asked me. I already knew what it looked like on my shelf and on my steak, but I nodded anyway. She opened up one of the big tubs and let us take a photograph down into it. “This one’s not quite full,” she admitted. “It’s fresh,” I responded, almost bowled over by the concentration. I could smell notes of this and that and thought to myself is that parsley? Surely that’s paprika… oh, I can smell cumin and anise and… but it didn’t matter. I could spend a lifetime attempting to recreate the recipe. But why, when I could just go to the store and get another bottle of Cavender’s? 13 spices go into Cavender’s blend, but the proportions are a family secret. What I can tell you is that they’re shelf-stable and will last however long you keep them (though they may lose a little potency over time). There wasn’t much else to see… the whole operation’s in that little warehouse and some administrative offices out front. Cara gave us one of her business cards and bottles of the seasoning -- realize, we’d barely introduced ourselves! I didn’t mention that I write about food for a living or that I have Tie Dye Travels or that I write Eat Arkansas. I just told her we were on assignment to cover the Ozark Medieval Fortress. Yet she invited us back and gave us gifts. Awful friendly. Then again, being friendly isn’t foreign to Arkansas. It’s our way of life. So I urge you, your next trip to the store look for the little yellow and red containers. Cavender’s will be on your aisle with your spice rubs and mixes and condiments. Take it home and just experiment sprinkling it on stuff -- meat, potatoes, barbecue. Strangest thing I’ve had it in is brownies and it somehow worked there, too. I think if you don’t know about it now, you will add it to your pantry. If for some amazing reason you don’t have it on your store shelves or you live out in the boonies far from civilization and want some, you can indeed order it from the Cavender’s website. There’s a salt-free version, too. Spice up your life. And don't forget - awesome on popcorn. 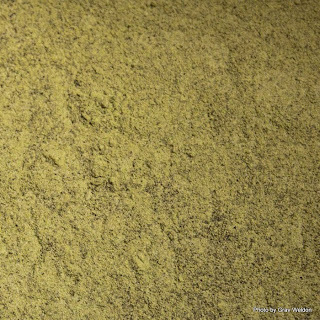 You can add Iraq to the list of destinations for this wonderful spice. Whille deployed there in 2008, one of my unit members who grew up in Harrison contacted the company and they sent cases to troops in Iraq. The 3oz size is perfect to carry in your cargo pocket to the dining facility. We once went deep sea fishing in Key West, Florida and they asked us how we wanted our fish we caught prepared. Never have gone fishing like that before or prepared a king fish, we let them choose. They used Cavender's. We are from Harrison--It really cracked us up. I first found Cavendars Seasoning on the table in Anderson's Split Pea Restaurant, a famous ole establishment in northern California on U.S. 101 (and later a 2nd place on I-5 in Southern Cal.) Might have been 35 years ago or so. Anderson's sold the stuff in their gift shop, where I bought my first container of the stuff. It is commonly carried by Safeway in the west, as well as the other chains mentioned in comments. Five years ago we moved to No. Arkansas, 14 m iles from where the stuff is made! I was surprised at the paucity of locals in familiarization with the stuff! Been trying to educate them since! I'm an Alaskan temporarily in Germany. I carried three of the large bottles in my household move and have had my daughter send me more as I run low. Pork, fish, steaks, shrimp, chicken, almost anything.